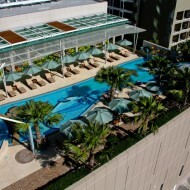 Amari Ocean Pattaya is located on the northern part of Pattaya. It is just across the street from the beach. 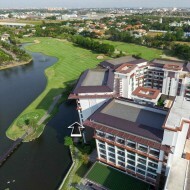 In the property there are 2 wings; the garden wing, and the ocean wing. The ocean wing is a high-rise tower that takes advantage of the location providing ocean view for all of the rooms. We were there on the weekend during the Pattaya music festival. 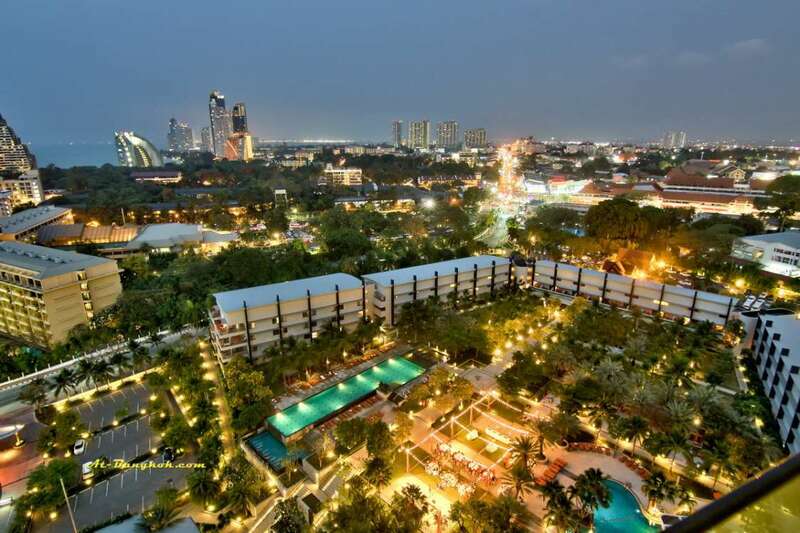 Expecting to be in a crowded situation as the traffic was very bad and occupancy rate was at almost 100%, the resort absorbed the guest very well. 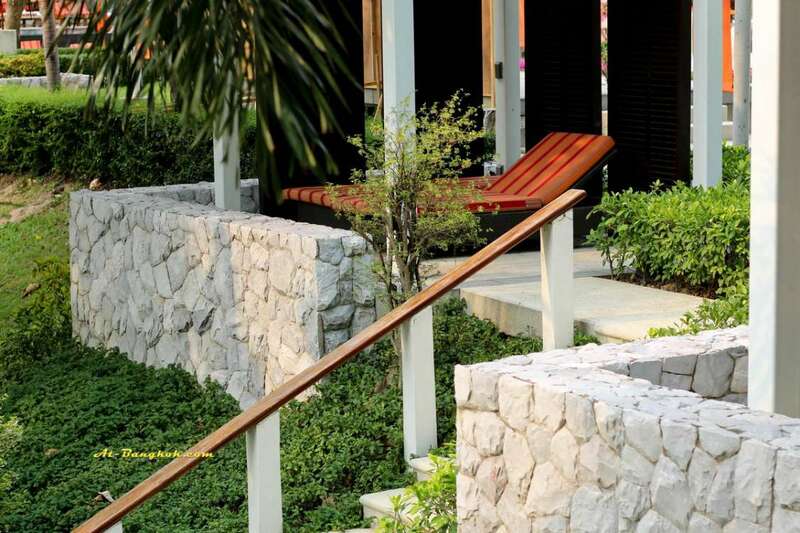 There were a lot of guest but facilities of the resort made it relaxing. 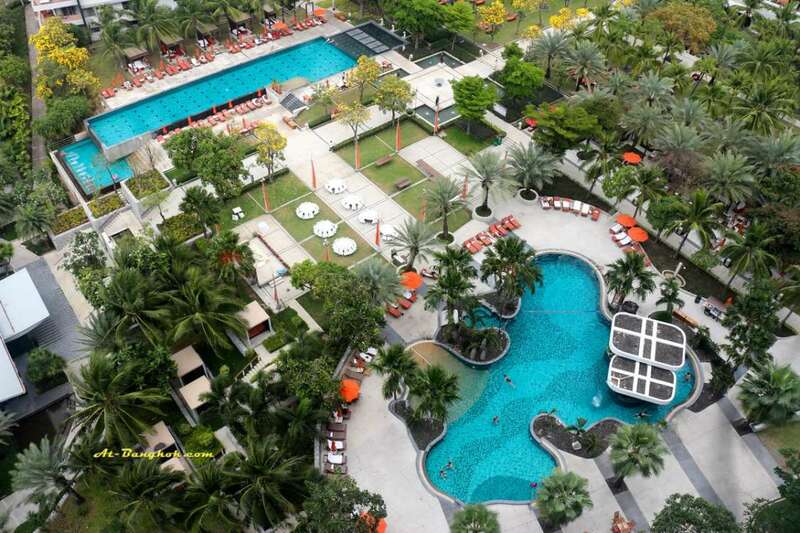 There were 2 large pools, 2 lobbies and 7 restaurants and bars. Our check-in was a breeze as our room was on the executive club level. The Horizon Club was a great place to be after getting through the traffic to the hotel. It was on the 18th floor of the Ocean tower, the view from here is spectacular. For executive club guest, the Horizon club provides all day beverages and snacks. In the evening there is a happy hour where alcoholic beverages and canapés are served. 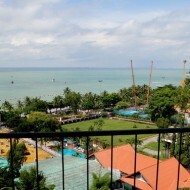 The executive club suite is one of the most spacious suites in Pattaya. It is very well decorated with all the modern comfort. The suite is directly facing out to the ocean offering more than 180 degrees view of the surround area. The view is what makes this suite so special. 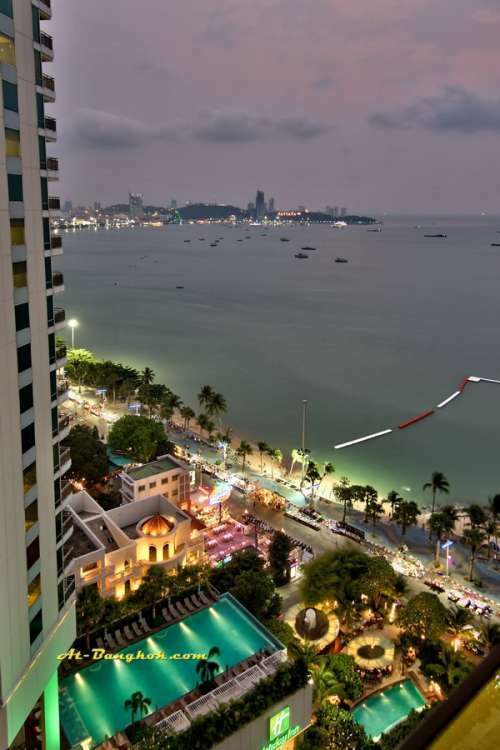 From the bed you can see a bird’s eye view of whatever is going on in Pattaya. 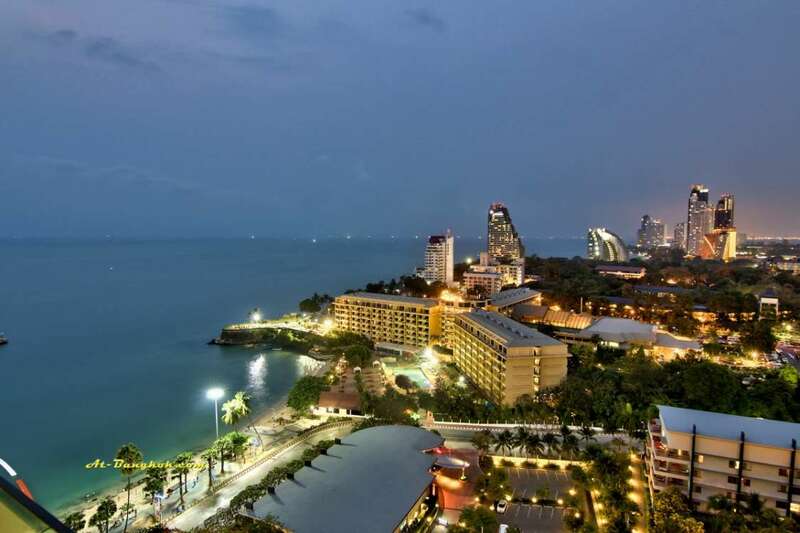 Getting around the area is pretty convenient the local bus passes Pattaya beach road and Pattaya 2 road from north to south Pattaya. So there is no need to take the car to Central Festival, Walking Street or other places nearby. During the Pattaya music festival the Beach road was closed during the evening. It was turn into a night market with shops and food stalls. The Tavern by the Sea is one of the restaurants in the resort, a sports bar ambiance. 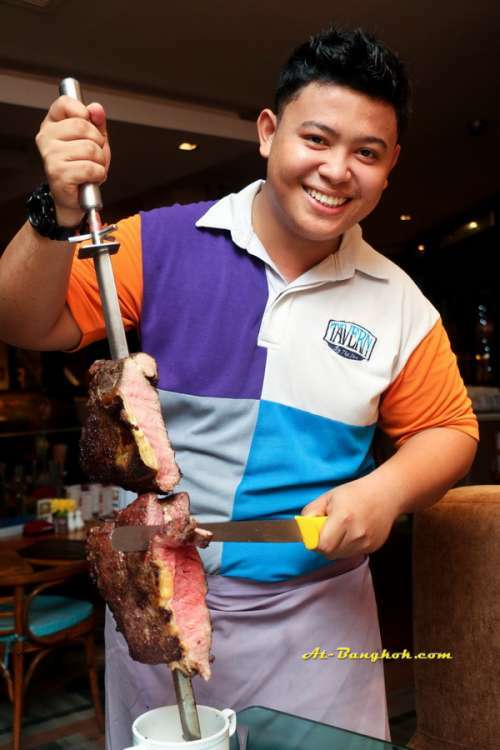 On Saturdays there was a Brazilian Churrascaria style buffet at a very reasonable price. There were many items available from salads, soups, side dishes and desserts. 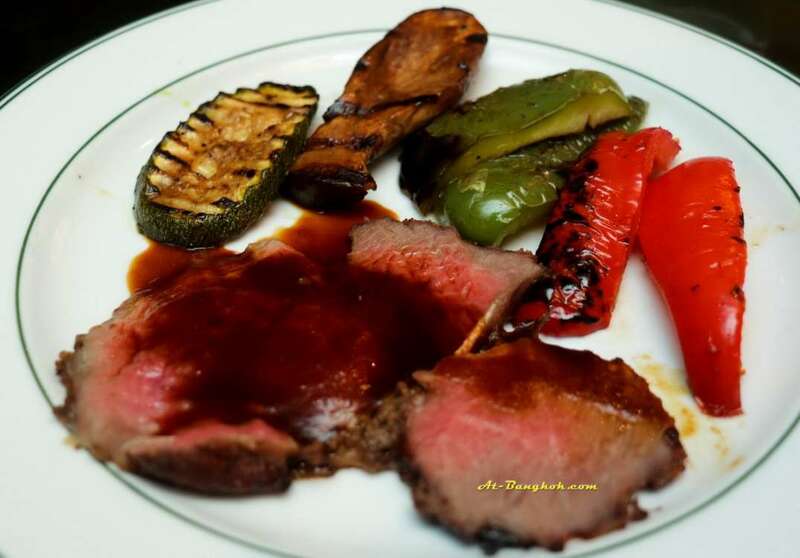 The main items are from the grill: beef, chicken, pork ribs, and varieties of seafood. There are 2 seating options; indoor and outdoor. Indoor is a cozy ambiance with TV screens shows live sports. Outdoor is by the beach rood, nice ambiance especially in the evening with live band playing. 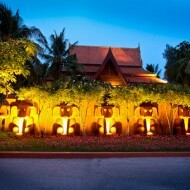 Another place you should visit while here is the Mantra restaurant and bar, a very unique concept offering food from 7 kitchens, Japanese, Chinese, Thai, Indian, gourmet seafood, the Mediterranean, and the Western cuisine. 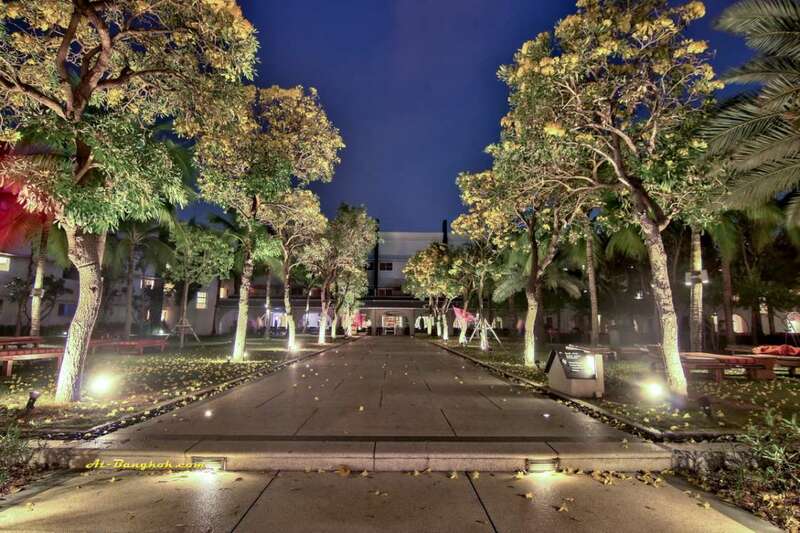 If you’re looking for a comfortable place to stay in Pattaya with beautiful ocean view Amari Ocean Pattaya has to be one of the first choices, whether it’s a relaxing time, unique dining options, or going out to explore Pattaya. 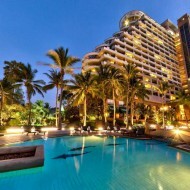 1 Comment on "Amari Ocean Pattaya"